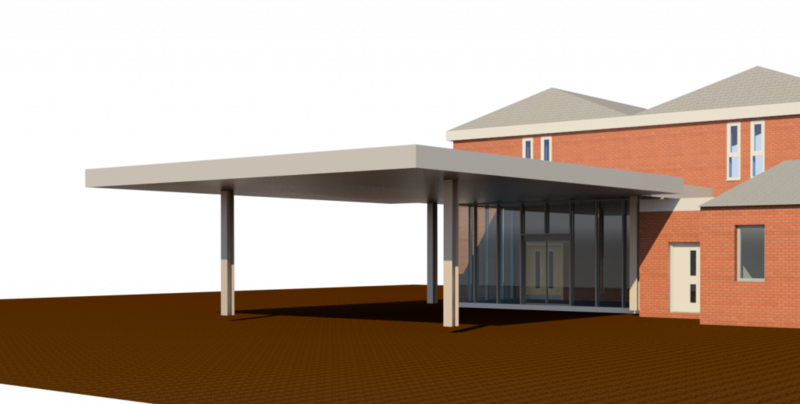 We’ve really enjoyed the opportunity to participate in a competition to re-design one of Cheshire’s busiest Accident and Emergency department’s entrance and waiting area. The circle is integral to the design philosophy and emblematizes the NHS as a 24 hour organisation for 365 days a year. We believe it will promote and reinforce a feeling of togetherness, care and community. Light diffuses softly across curved surfaces instead of sharp contrast created by perpendicular surfaces. 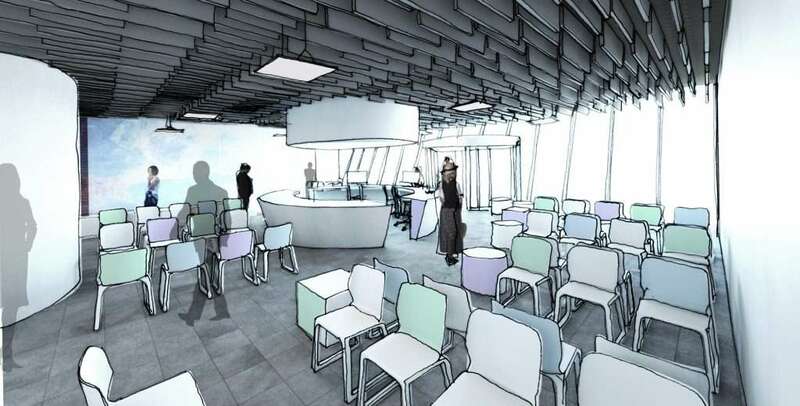 The well-being of both the staff and the patient are at the heart of the proposal, and the space should incubate a symbiotic relationship between both. Colour and light play an integral role in the articulation of a calming, safe and secure environment for patients and staff. An accompanied waiting area is provided separately to the main space. It is intended for use when challenging patient behaviour may warrant segregation. 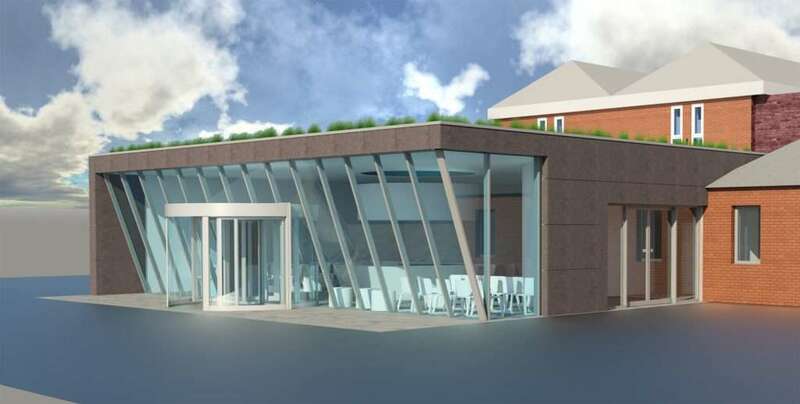 The proposed building is a space where intimidation and abuse have no place – it is a place where clinicians and nurses can provide the very best care to their patients. A circular rooflight, positioned above the reception area shall create a glowing ring of light, diffusing throughout the space. The images below are of the proposed interior space, the existing exterior and proposed exterior. If you have a moment, please share your thoughts with us. One of our core beliefs is that Architecture should be a vehicle for conversation and discourse. The check in desk needs to be as far away from the seated area as possible for basic confidentiality reasons. The amount of highly confidential personal information which is routinely discussed at an A&E admission desk can be very surprising. Also the seats need to be as padded/comfy as possible as people often have to wait for many hours before being seen. The admission desk may need some screens/perspex for basic personal safety reasons, particularly late at night at weekends where there will be more drunken service users. Any area for “accompanied” or unaccompanied acute mental health service users may just need somewhere separate to sit where it is less busy away from ANY ligature points and that is calm and tranquil. Full wall pictures of countryside and green spaces are often very soothing for all service users but particularly for people experiencing a mental health crisis. There may also need to be a separate mental health assessment room with comfy chairs and calm environment with alarm points. There may also need to be a need for a separate “Section 136 Suite”, if the A+E is a place of safety for statutory Mental Health Act purposes (will need to ask the service provider/hospital estates dept/local CCG mental health commissioner). There may be benefit in having TV’s to while away LONG waiting times and I would suggest there needs to be adequate space in “walkways” to park prams and wheelchairs so people can get past safely and people are not stuck in a walkway feeling that they are “in the way”. Light and space are important considerations. The “interesting” ceiling may be better spent lower at eye level to create something interesting to look at while waiting many many hours. The colours are nice and soothing.